Two weekends ago Jamie and I went on a little day trip to London. He bought me a trip up the Shard and some scrummy Afternoon Tea for my birthday, and we had the best time. Being the brilliant blogger boyf he is, he even took some time out for a little outfit photoshoot in front of Tower Bridge for me! I’ve been dying to share these trousers on the blog for ages now. Another brilliant Primarni purchase, I’ve been wearing them non-stop these last few weeks. They are so comfy, especially for a day of touristing around London in! 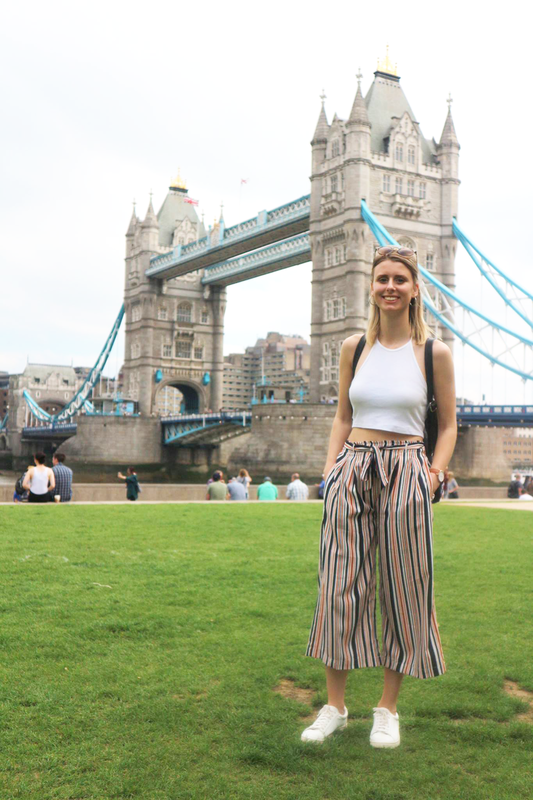 I feel culottes could be my next obsession..
Now that I’m working full time and J and I only have one full day off together in the week outfit posts have been such a challenge to get done, which is such a shame because they’re my favourite ones to do! Hopefully planning on getting a few done over the next few weeks so my blog has a bit more of a range of posts again. What are your favourite posts to read?